"we are the small game hunters"
How long does it take to see results after a pest control treatment? It varies depending on the pest; bees & wasps 3-5 days, rodents are gone in approximately 14-21 days, roaches & ants typically take about 3-4 weeks and most other pest control problems such as bird mites, fruit flies, & spiders are taken care of in 3-4 weeks as well. There is not a product on the market that gets rid of insects immediately, it is a process. We do offer a warranty on our service for most pests and will come back for free to do a 2nd treatment at no additional charge if necessary. Are the chemicals used safe for pets & kids? Yes, all the pest control treatments for bugs & rodents we use are kid & pet-friendly and are odor free & EPA approved. For rodents, rats & mice, we use tamper-proof bait stations. 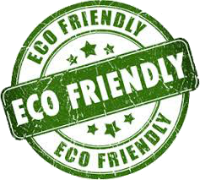 Do you have environmentally "green" applications available? How quickly can you come out to my home or office after I put a call into you? Are you licensed with the State of IL? Yes, we are licensed and have been in business since 1968. Why should we hire Shepp Pest Control Inc. as opposed to other more popular pest companies? 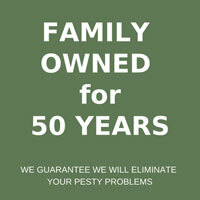 Shepp Pest Control Inc. can offer you 40 plus years of experience in pest control. We are family owned and operated so we will make sure you get the best service & will not require that you sign a contract. We can offer you monthly, quarterly or semi-annual pest control service, as well as a one-time treatment for any of your bug issues. We guarantee most services for 3 months. We are proficient in handling any of you pest control needs and specialize in bird mites, fruit flies, roaches, rodents, bed bugs, termite inspections and carpenter ants. Do you service the city that I live in? Shepp Pest Control Inc. services most cities in the Chicagoland area including: Palatine, Arlington Heights, Des Plaines, Park Ridge, Rolling Meadows, Mount Prospect, Streamwood, Elk Grove Village, Itasca, Elmhurst, Cary, Barrington, Inverness, McHenry, Vernon Hills, Lake Zurich, Deer Park, Winnetka, Lake Forest, Northbrook, Niles, Buffalo Grove, Wheeling, Chicago & all of the northwest suburbs. We will travel as far north as Gurnee, and as far south as Orland Park and as far west as Hampshire. What are the current bed bug laws in the State of IL? As of June 2013, no laws have passed regarding bed bugs in the State of Illinois. There is an Illinois Bed Bug Act which is attached to a bill but it has not been passed. We will let you know if the bill gets passed and becomes a law. Do you specialize in bird mites? Yes, we are one of the few pest control companies in the Northwest Suburbs & the Chicagoland area that specializes in bird mites. We partner with a wildlife company to remove the bird mites and their nest as soon as possible, and typically we can have your problem resolved within 7 days. A bird mite infestation requires that you treat for the bird mites as well as remove the nest. If the nest is not removed your problem will re-occur. Do you have experience in treating for bed bugs? How can I identify a bed bug? Easy, just take a picture with your smartphone and email or text it to us and most time we can identify it. If you squish a bed bug, blood will appear, just to let you know. Shepp Pest Control Inc. can identify bugs for you at no charge via text or email. 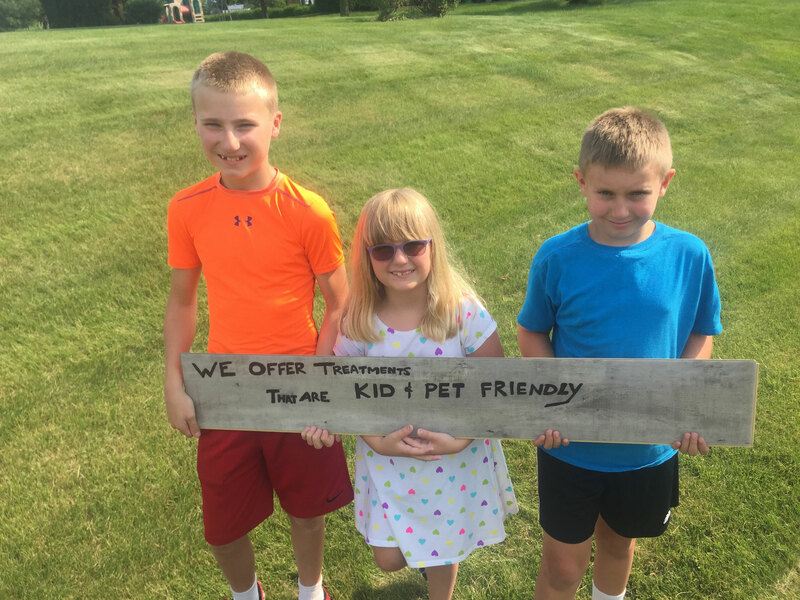 Text to 708-975-4771 or email us at mark@shepppestcontrol.com. We can get rid of ANY type of insect that you may encounter.